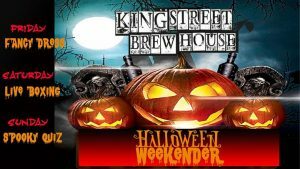 Brewery Open Weekend at the King Street Brew House! Book your spot via telephone, at the bar or through email. 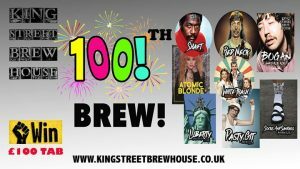 Our 100th Brew! 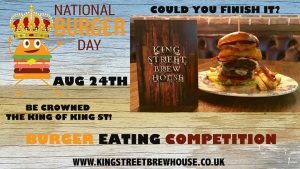 Win £100 Bar tab at King Street Brew House! Brew House Bank Holiday Boogie! Come join us this August bank holiday for our first ever Boogie! 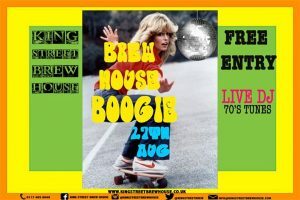 We will have a Live DJ smashing out 70's bangers. There will be a Disco ball, Extended trading hours, 70's inspired cocktails, Prizes for the best dressed, a pro photographer & FREE Entry! 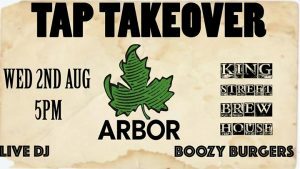 We are pleased to invite New Bristol Brewery to take over all our taps! We will be showcasing 12 of New Bristol Breweries finest brews for one night only! There will also be a delicious range of specially designed NBB themed burgers for you to munch on. Vibe along with our resident DJ, Stefan! Stefan will be smashing out all the good tunes like always. We look forward to seeing you here. 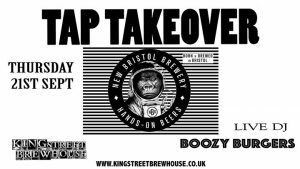 Newport's finest take over our taps on Thursday 19th October! With 6 keg and 6 cask lines, expect some of your old favourites along with a few treats mixed in! The Brewers will be here providing a brief presentation / Q&A in our tank room in the evening. 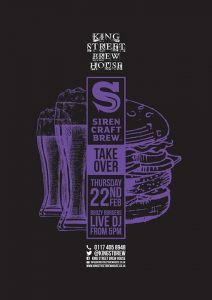 We'll be creating a boozy burger menu using their beers, and DJ Nev will be on the 1's & 2's from 5pm! Its going to be a banger boyo! Come and Join us this Halloween Weekend, We are giving away a £100 bar tab to best dressed on Fri night. Boxing on Saturday & a special Spooky quiz onthe Sunday! LIVE ON ALL SCREENS! 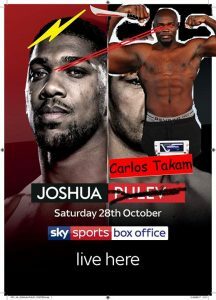 Join us for Anthony Joshua Vs Kubrat Pulev We're not taking any bookings for this one folks so arrive early to avoid disappointment! 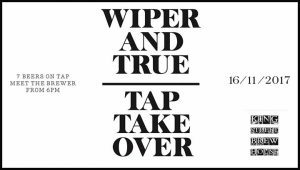 Come and join us for another exciting tap take over, this time we have special guests & Bristol favourite Wiper And True! We will be showcasing 7 of their finest brews. You will have a chance to meet the brewer & there will also be a DJ! See you at the Brew House! 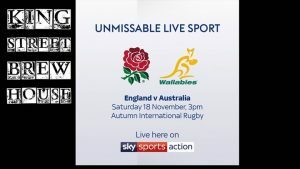 Autumn International Rugby Live at the Brew house! 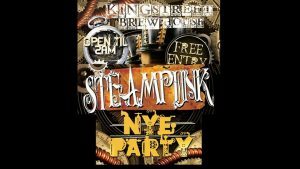 Come join us this NYE for a steampunk party! We have extended opening hours until 2AM & it's FREE Entry! Come dressed up in steampunk themed for your chance to win prizes! 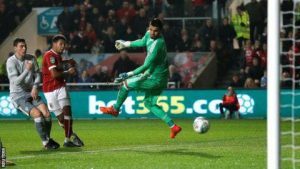 Man City vs Bristol City! Raise a glass to Rabby Burns! 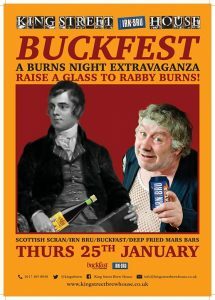 We'll be serving Irn Bru, Buck fast, Scottish Scran and deep fried mars bars! Expect the Proclaimers all night long on the old stereo! The folks at Siren are taking over our taps! Expect some weird and wonderful brews alongside some crowd favourites! 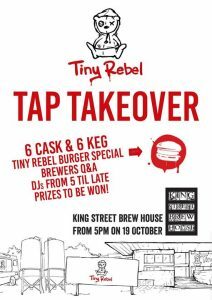 Boozy burgers inspired by their beers will be available, and DJ Nev will be on the 1's & 2's from 5pm! 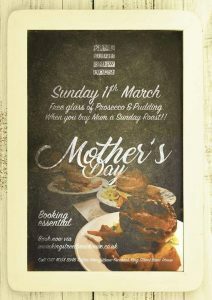 Free glass of Prosecco & Free Pudding for Mum when you buy her a roast! 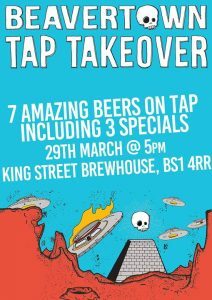 The legendary Beavertown Brewery will be taking over 7 keg lines to bump start the Easter weekend! We'll be staying open an extra hour so that you folks can sample some familiar favourites along with some very special beers! 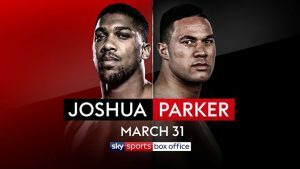 We'll be showing Anthony Joshua Vs Joseph Park live on all screens! No bookings being taken for this one, so we recommend arriving early to get a good spot! We'll be showing the rematch here! Book Your Table! 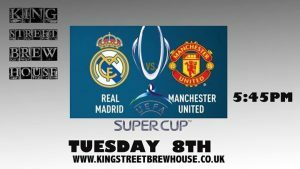 Liverpool Vs Real Madrid, Live on all screens!!! Book Your Table! The wonderful folks at Electric Bear will be taking over our taps, and for the first time, our brewery will be collaborating with our hosts with an exclusive beer! (watch this space!) Join us for booze, burgers and beats from 5pm! Book Your Table! 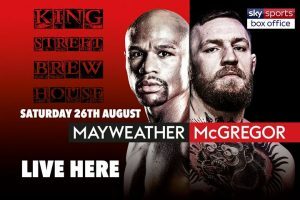 Tyson Fury Vs Sefer Seferi LIVE on all screens! 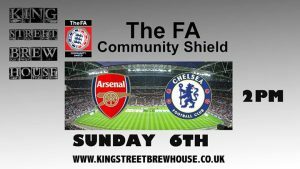 Get down to King Street Brew House for all the best Football action! Today we'll be showing France vs Australia. Be sure to arrive early or book a table! Go on then, buy your Dad a roast on fathers day and receive a free pint of one of our house brews! Book Your Table! Join us for Pimms, Strawberries and Cream and of course, Tennis! 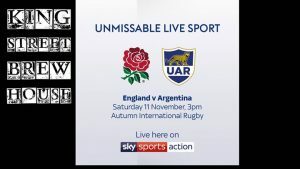 We'll be showing every match in our lovely air conditioned pub! Book Your Table! 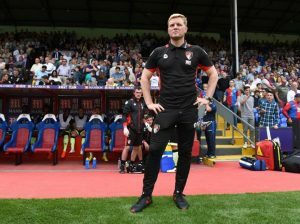 Yes that's right the football is back! 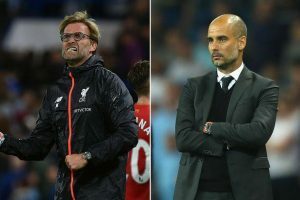 Get here for Chelsea vs Man city at 3pm ok????!!!!! Magic Rock will be taking over our taps from 5pm! An incredible selection of beers from Yorkshire's finest, Boozie specials on the food menu, and DJ Nev on the 1's and 2's! 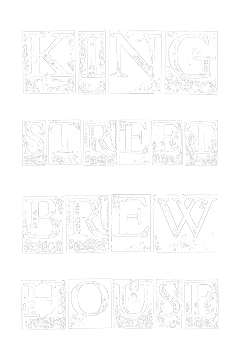 Its not only Bristol vs Bath, but its also The King Street Brew House Vs The Bath Brew House! We'll have 3 ales from the Bath Brew House and 3 ales from our own brewery available for the match! Support your team by having a beer from your local brewhouse! Book Your Table! England vs Spain UEFA Nations League! Right then here we go England will take on Spain in the UEFA Nations league & we'll be showing it here! If you're as confused as we are here is a link to the official uefa website where they explain this new format! https://www.uefa.com/uefanationsleague/news/newsid=2563561.html Book Your Table! Bristol Beer week Open Brew days On September 10th we'll be brewing an White Trash. On September 12th we'll be brewing an Atomic Blonde. On September 14th we'll be brewing an Imperial Stout. Free Book Your Table!